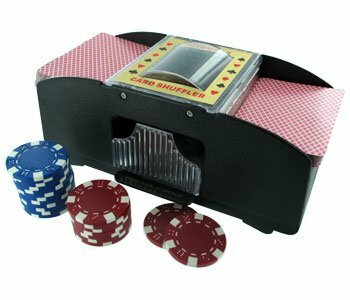 Shuffle Cards 2 to 6 decks or more. 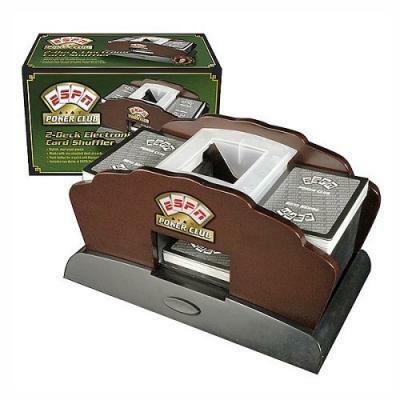 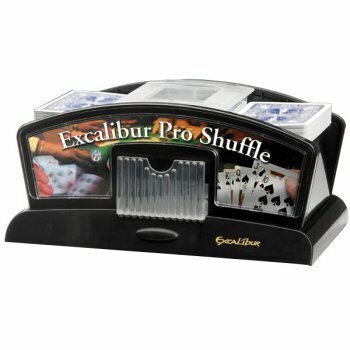 Shuffles two decks at once perfect for card games that often use more than one deck. Just press the lever and watch through as the cards are shuffled fairly and with professional thoroughness. 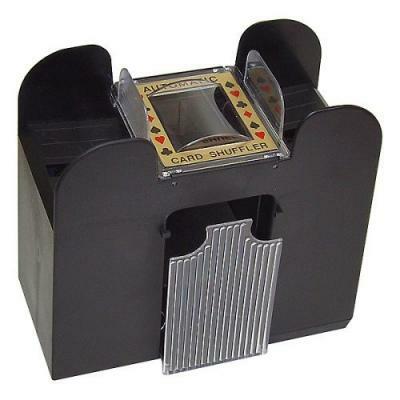 Using electronic card shufflers eliminate cheaters that manipulate cards when shuffling cards manualy.